Search All Celadon Real Estate! Featuring 23 floors, all condos at Celadon boast incredible views of the Gulf of Mexico. Views to the west are even more spectacular and unobstructed as Celadon is the westernmost high rise on Front Beach Road. Take a stroll down the white sugary sand beaches or enjoy the many resort amenities. Celadon Beach has everything you need for a perfect beach lifestyle. 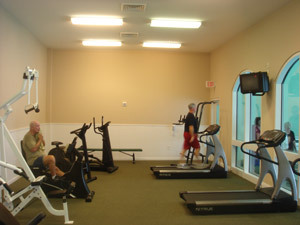 All units offer private balconies and living rooms. Additional interior features include marble baths, full-sized kitchen, breakfast bar and washer/dryer in every unit. Celadon Beach Resort has a floor plan to fit every owner’s needs. 1 bedroom/2 bath – 846 Sq. Ft.
2 bedroom/2 bath – 1157 Sq. Ft.
3 bedroom/3 bath – 1400 Sq. 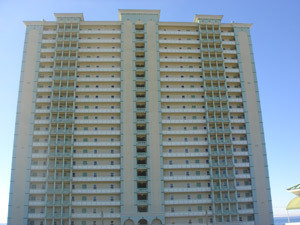 Ft.
Celadon Beach condos are located approximately 1 mile west of the Hwy 79 intersection with Front Beach Road, on a peaceful strip of Panama City Beach. The resort is close to Gulf World, the County Pier, Pier Park, and is just 20 minutes from the Silver Sands Outlet Shopping Center in Sandestin!